In the almost lawless city of Apollo Bay, high school student Gavin Shaw takes on the role as it’s sole protector. The acrobatic Midnight Tiger! Gavin wants nothing more than to release the stranglehold the criminal have on his city, but if he keeps getting in to trouble at school his dad is going to kill him before he even has the chance. Cover-Our brand new hero gets most of the spotlight on this cover with the logo neatly stacked at the top with the names of all the contributors at the bottom. 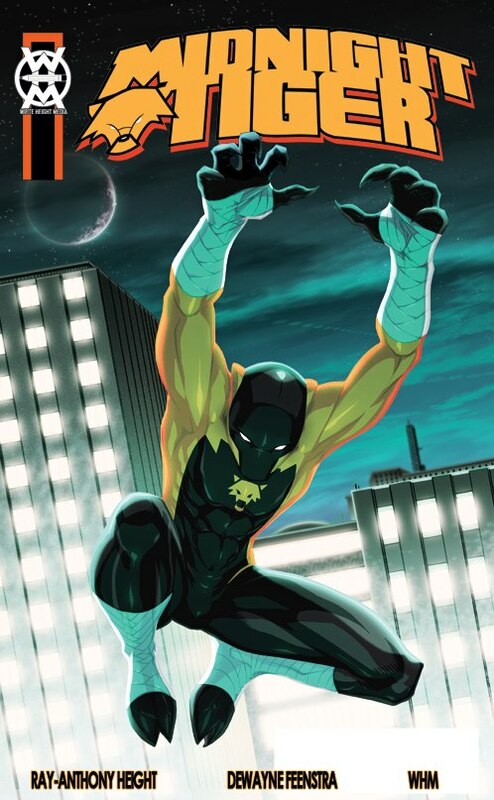 The Midnight Tiger’s costume also gets highlighted under the pale blue hue of the moon. It looks pretty damn cool! Art- For the most part the art was great. Particularly the action scenes and that costume! I love the costume! Villains- The issue gets kicked off with a bang as we meet P-Stone a dead ringer for Milestone comics Holocaust and Infernus seems like a deliciously psychotic piece of ‘villain pie’ whose power set will no doubt prove formidable for our hero. Humor- Ray Anthony Height has a great sense of humor and manages to squeeze it into this tale without it feeling forced. I like! Character- Gavin is an interesting character. His school life is reminiscent of a young Peter Parker/Spider-man and Static/Virgil Hawkins. There are also allusions to what may have happened to his mother, a recent tragedy no doubt. He also has to deal with living up to his father’s expectations while pretending to be a normal teenager at the same time dealing with crime fighting and school. It’s a winning formula though not wholly original; if Gavin can connect with the teenage boy demographic the way Static and Spider-man he’ll have loyal fans for life! 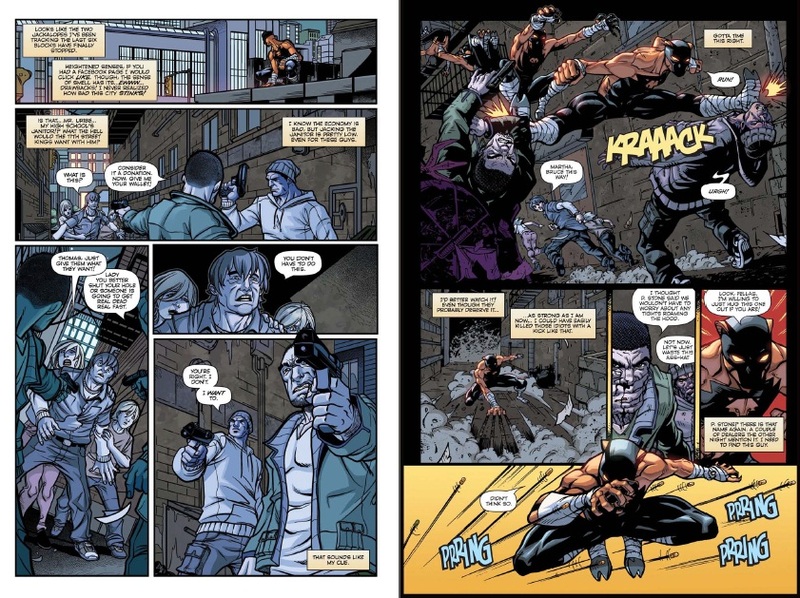 Black Heroes– Apart from Gavin/Midnight Tiger we also have a super powered villain P-Stone. Both look great and bring to mind such greats in the black hero pantheon as Static/Virgil Hawkins and Holocaust both created by the late, great Dwayne Mcduffie for the now defunct Milestone comics. Ray has a killer knack for designing some very aesthetically pleasing characters, two thumbs way up! Faces- Gavin, his father and his friend from school have weird faces. Something is seriously off; they come as one-dimensional and flat. Hopefully this can be fixed in upcoming releases. Is there a direct link to purchase this item?